You can find the full patch notes announcement below. There are one or two focussed changes to reduce the power where blueprints are overpowered or too prolific, the changes here are primarily about buffs to make making a lot more blueprints into competitive choices for players, and defining roles for some where their intent wasn't clear. Note that while there are a lot of buffs, we're not intending to increase the maximum power of engineered vessels (it's actually shrinking slightly compared to base ships), but there will be a lot more ways to reach that power. None of these changes are final until they've been tested in Beta, feedback welcome! Where Blueprints have been modified this will affect existing items, which will be updated as if they had been always rolled with the new recipe – removed attributes will be stripped off, new ones will be rolled, existing ones will be mapped into the new range (for example if you previously got an 8 on a 0-10 attribute, and the attribute is now 5-25 you will get a 21). These changes are based on discussion from Sandro, mike & myself, comments in Italic are explaining the rationale behind each set of changes. Unlock Grade 5 Burst Laser from Broo Tarquin. Unlock Grade 5 Beam Laser from Broo Tarquin . Unlock Grade 5 Mines from Juri Ishmaak. Unlock Grade 5 Missiles from Liz Ryder. 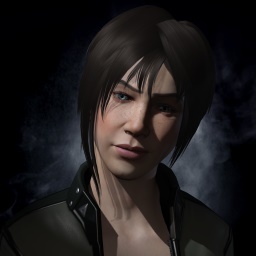 Unlock Grade 5 Torpedos from Liz Ryder. Unlock Grade 5 Railguns from Tod ‘The Blaster’ McQuinn. Unlock Grade 4&5 Hull Reinforcement Thermal/Kinetic/Explosive resistance Blueprints from Selene Jean. Unlock Grade 4&5 Armour Thermal/Kinetic/Explosive and Advanced Blueprints from Selene Jean. Damage Modifier slightly increased (to 35%-45% from 30-35% at G5). Fire rate modifier removed (was 8%-20%), primarily to differentiate from rapid fire. Added clip size reduction modifier (-15% to -25% at the top end, though as the fire rate modifier has been removed you get more damage per bullet and don’t fire for much less time). Overall this will reduce its DPS boost with a perfect roll from +62% to +45% before side effects, this is still the highest of all Blueprints. This recipe didn’t express a clear purpose, and was generally underwhelming. It is now being improved to hit harder but less often (overall DPS boost) while gaining more ability to pierce targets. With its existing hardness piercing this weapon is very capable of punching at ships above its own class. Range modifier removed (conflicted with Long Range too much). Damage increase added (+27%-+40% at G5). Rate of Fire reduction added(-22% to -35% at G5). Active heat penalty flipped around to avoid overly penalising low level versions. Armour piercing increase added, increasing chance to breach the hull by up to 25%. This Blueprint wasn’t in a terrible place, but needed a bit of an improvement. Active Power increase removed (was +10% to +30% at G5). This blueprint was heavily under-used, and quite underpowered to go with it. While the increased range does affect damage falloff, this isn’t as big an effect as it needed. Damage Penalty reduced (down to 10-15% from 15-25%). Active power increase removed (was +20% to +50% at G5). No major changes here, but coupled with our separate improvements for slugshots, the Grade 5 version gave a little bit too much. Clip size for Grade 5 version reduced to 6 (from 8). Another highly under-performing Blueprint, straight up buffs here, it’s similar in theme to Efficient but still distinct. Damage Reduction removed (was up to 5%). Reactor power requirement reduction added (10% to 20% at G5). WEP draw reduction added (10% to 20% at G5). This blueprint is the least used across almost all weapon types. We think the purpose of it is fundamentally a useful one (especially as we open up options to fight as shields drop) but the effect needed to be much bigger. Health increase doubled (from 50-125% to 100-250% at G5). Reactor power draw reduction improved (20%-40% from 13-30%). Mass reduction doubled (16-40% from 8-20%). These two recipes have exactly the same change, to make them a little more attractive when compared to Reinforced. Module health increase added (+20%-40% at G5). All of these single-type resistance blueprints have the same change, reducing the penalties to make them a more competitive choice compared to Heavy Duty or Advanced. Especially if you are willing to sacrifice resistance to one type in favour of the other two. All of these single-type resistance blueprints have the same change, reducing the penalties to make them a more competitive choice compared to Heavy Duty or Resistive. Especially if you are willing to sacrifice resistance to one type in favour of the other two. Just a little bit too good as it was, though the change here is relatively small. Resistance to all types reduced by 2% (to 10-13% from 12-15% at G5). While this is a useful effect, it’s not really performing up to the level required for now. Reload rate increased by 50% (now reloads one shell every 2 fire intervals rather than every 3). Shield restoration effects are cool, but this one pales in comparison to Regeneration sequence. Duration of regen boost doubled. Effect of regen boost doubled. This is a special that is a bit of a non-choice as it is very effective but has no scaling with size/number. We’re not making changes right now, but we are looking at adding some kind of scaling here. We’re removing the innate damage penalty from this one. Removed innate 10% damage penalty. Emissive munitions are a bit too good at their job, and the side effect of increasing emissions so far that gimbal weapon tracking automatically maxes out isn’t really what was intended. Emission increase reduced, it’ll still light you up to about the level of a hot anaconda, but will not automatically max out all gimbals. This is a bit too much of a “must have” special effect in many cases, and doesn’t scale with the number of guns or their size at all, making it a bit of a non-choice. The effect is semantically similar (though overall weaker if you’re only using a single small weapon), but should feel more interesting. Effect of feedback cascade changed, rather than setting the healing rate to 10% on the first trigger, each hit will deal bonus “damage” to the pool of health to be healed, so multiple hits will reduce the shield healing received. With a cap at the old 10% mark being their maximum effect. The number of hits required to reach this cap will depend on the power of the railgun and size of the shield cell, but is in the range of 2-5. We’re removing ammo capacity penalties to make this one a little more attractive. Remove 20% ammo capacity penalty. We’re removing Flight Time penalties to make this one a little more attractive. Remove 20% increase to flight time. Full patch notes on other related changes will be available nearer the time. Balance changes/improvements to non-combat recipes will come in a future pass.